When we are involved in a negotiation, we make proposals to the other side of the table. If they like our proposal, then they’ll agree to it and we can strike a deal with them. However, if they don’t like our proposal, then we’re going to have to spend some time in discussions with them using our negotiation styles and negotiating techniques to see if both sides can create a proposal that they can live with. What if I could show you a way that would convince the other side to say “yes” to your proposal? It sure seems like this would speed things up doesn’t it…? So just exactly how do we go about getting the other side to say yes to our proposal? The process has a number of steps, but it’s actually fairly simple to do. It all starts with you making a request of the other side. However, this is no simple request, it’s a very carefully crafted request that has one and only one purpose for being made: you are going to want them to reject it. Just exactly how you are going to go about making this happen is heavily dependent on the specifics of the negotiation that you are currently involved in. Since you want your proposal to be rejected, you need to tailor it so that there is some part of it that you know will be outside of the bounds of what the other side is going to be willing to go along with. Once you’ve crafted your proposal, you then present it to the other side. You designed the proposal that you are making to be rejected by the other side. That’s why you are not going to be surprised when that is exactly what they end up doing. When they reject your request, you will of course need to look surprised. However, it’s what you do next that is going to cause them to eventually say yes to your proposal. The next thing that you are going to do is to make a concession to them. You are going to present them with another proposal that is a modification of the first proposal. You will have removed whatever the offending issue was and you’ll be presenting them with a proposal that it is possible that they might accept. This is where things start to get interesting. Because you’ve made a concession to the other side and presented them with a modified proposal, they will now feel an obligation to make a concession to you. The easiest concession that they can make is to accept your proposal. This concept of mutual concession is part of a tendency in society for us to work together to achieve a common goal. What makes this approach even better will be where things now stand. It turns out that the other side is going to be feeling some responsibility for the deal that you have put together. They feel as though they influenced you to modify the proposal that you initially presented them with and so now they have ownership in the modified proposal. The best part of this whole “rejection-and-then-retreat” negotiating strategy is what it causes to happen in the other side. They are going to walk away from this negotiation with a deep sense of satisfaction about how things turned out. What seems to be going on is that when a deal is reached by having you make a concession to them, they are left with a feeling of satisfaction. What this means for you is that now the other side is going to be more open to negotiating future deals with you. Their sense of satisfaction has made them believe that you are a person that when they negotiate with you they will be able to reach a satisfactory deal. As you can see, this is a truly powerful negotiating tactic. 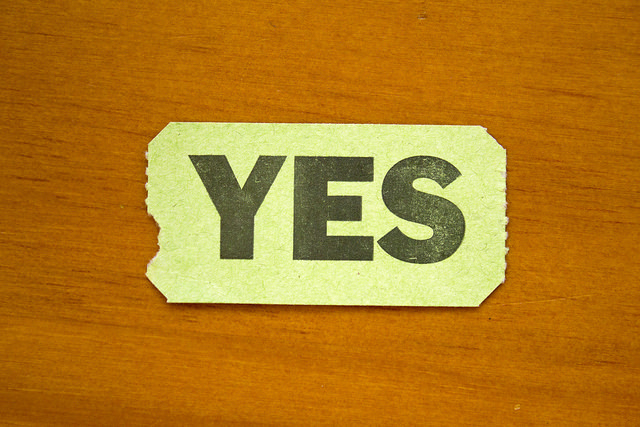 Negotiators want to get the other side of the table to say “yes” to their proposal. However, this is not always an easy thing to do. If there is some part of our proposal that they don’t like, then they can push back and we may be in for a very long negotiation. In order to get the other side to say yes to your proposal, you are going to need to use a multistep process. This starts by having you make a proposal to them that you know that they will reject. You’ve created this proposal to get them to reject it. Once they reject it, you make a concession to them and modify the proposal. You then resubmit it to them. They will feel a need to reciprocate your concession and because they now feel responsibility for the proposal they may go ahead and approve it. What makes this all even better is that the other side is going to walk away from this negotiating feeling satisfied about the deal that they were able to reach with you. This technique is just a little bit manipulative. However, it is incredibly powerful and I have seen it work many times in principled negotiations. The key to making it work is to make sure that your second proposal is very close to something that you think that the other side would be willing to approve. Give this technique a try and you just might be surprised at the results that you are able to achieve! Question For You: What steps do you think that you’d have to take to make sure that your first proposal was rejected by the other side?